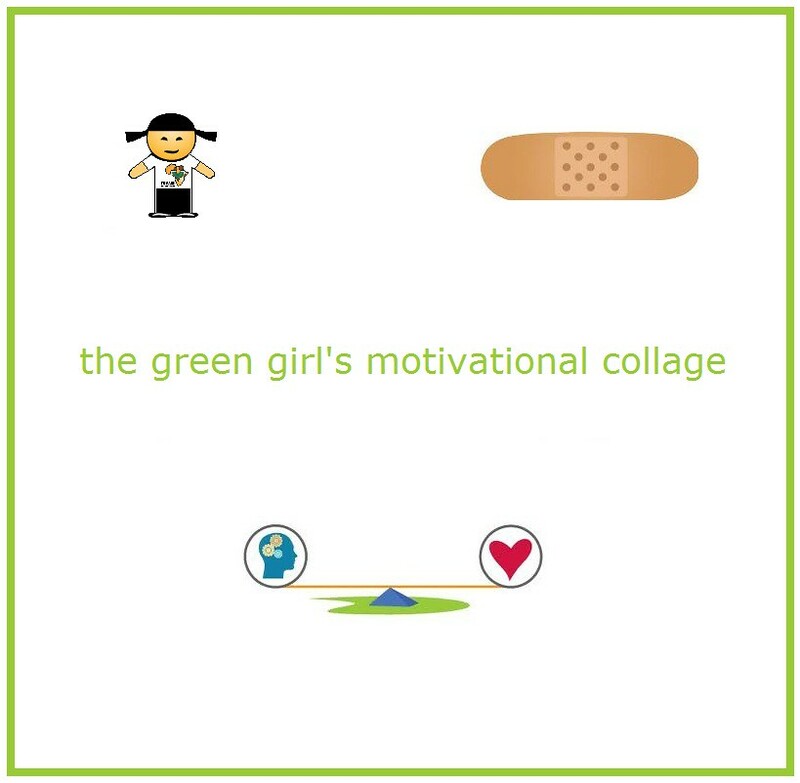 The Green Girl was inspired by the Day Zero Project's '101 Things in 1001 Days Challenge' to start her own challenge of attempting to complete 100 things in a given calendar year. The Green Girl and her friend, Janey, ran their very first race on the sand at the Manhattan Beach Yuletide 5k Saturday evening. 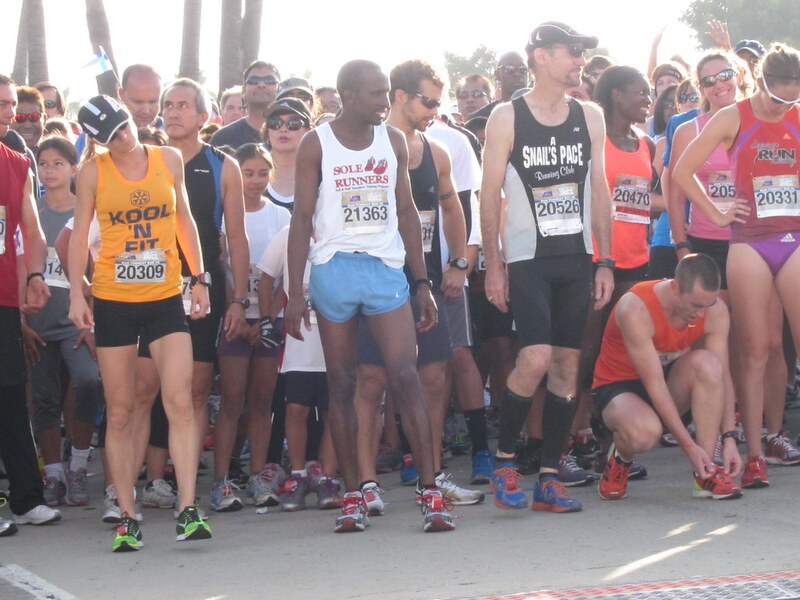 The Manhattan Beach Yuletide 5k is the sister race to the annual summer Manhattan Beach 5k. 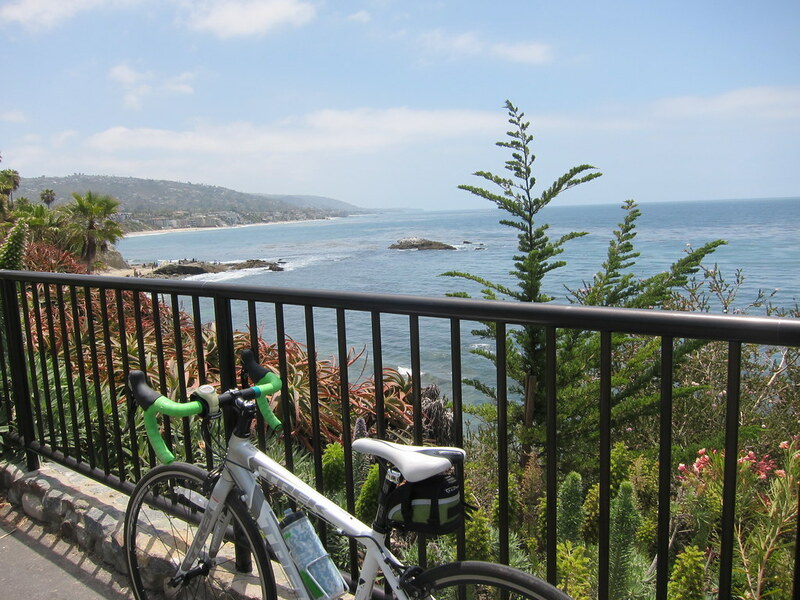 The Manhattan Beach 5k takes place each June and coincides with the Summer Solstice, the longest day of sunlight for the year. 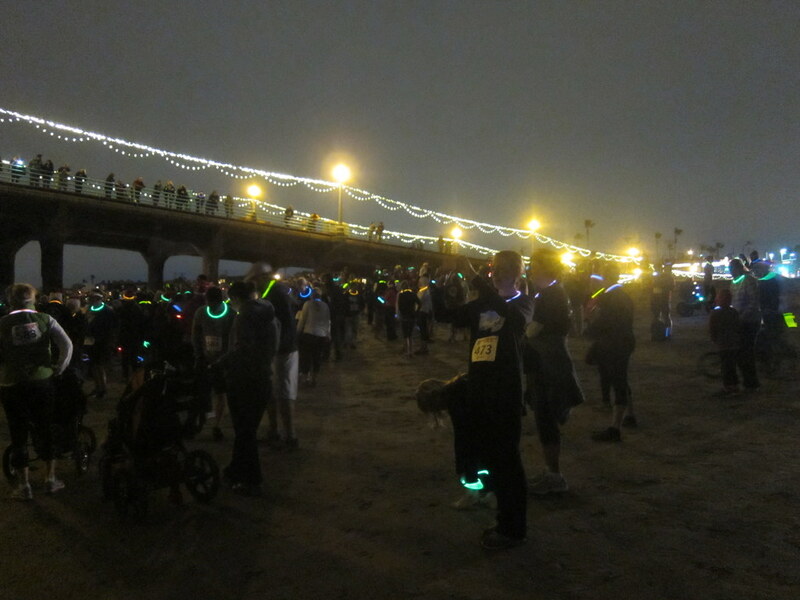 The Manhattan Beach Yuletide 5k was scheduled for the Winter Solstice, the shortest day of sunlight for the year. A solstice occurs when the part of the Earth’s equator that faces the Sun is tilted at its highest or lowest point. The day of the Summer Solstice is the longest day of the year and the Winter Solstice is the shortest day. 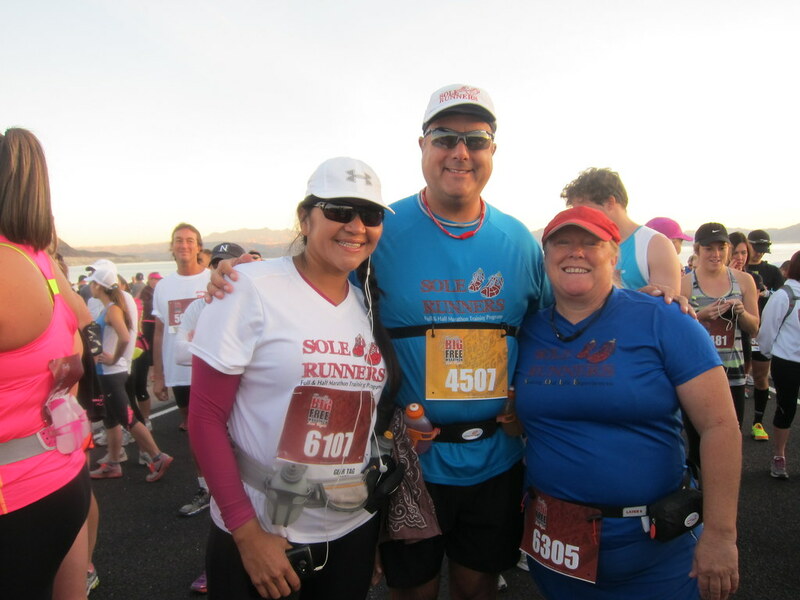 The solstice provides an extremely low tide, creating ideal running conditions for on the hard-packed sand. 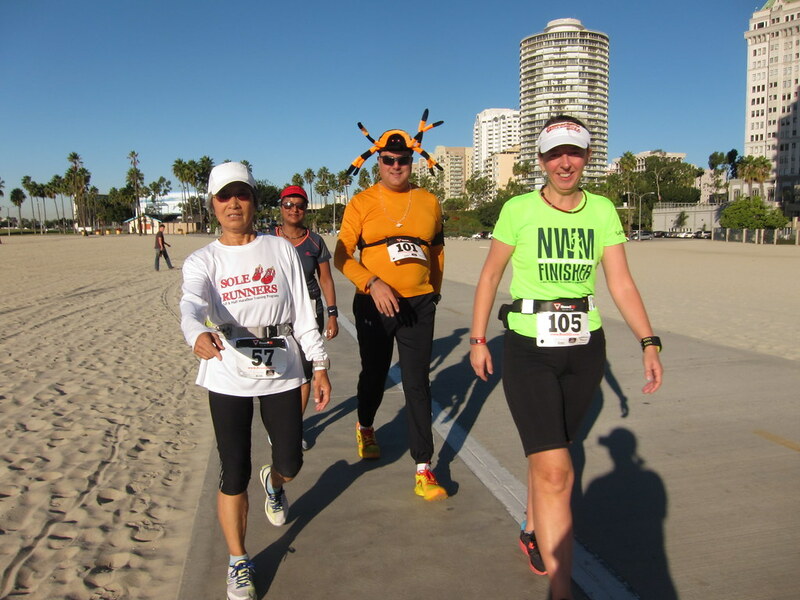 The Manhattan Beach Yuletide 5k consisted of a 5k run/walk on the sand and a Little Elves Dash. Each participant received a cotton t-shirt and a glow necklace. The timing chips were conveniently attached to our bibs. The evening was unusually cold and on occasion, a raindrop would fall. The sunset faded into the horizon as the runners shivered and waited for the race to start. 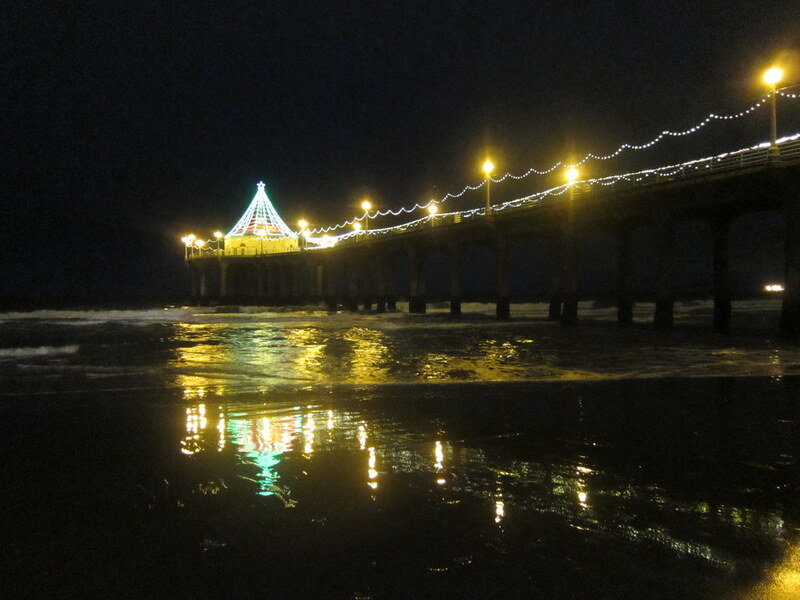 The Manhattan Beach Pier glowed with holiday lights which reflected on the dark waves and the wet sand. 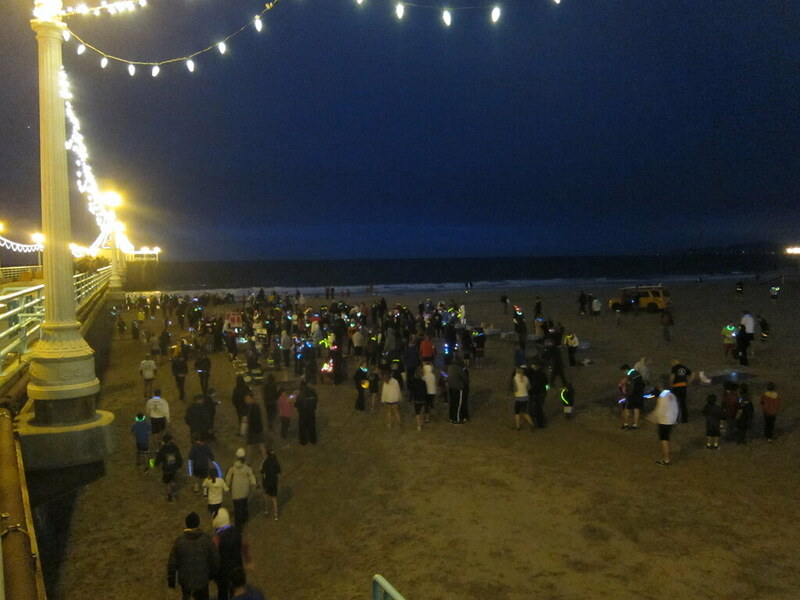 Spectators lined the pier from above and cheered us on as we started the race. 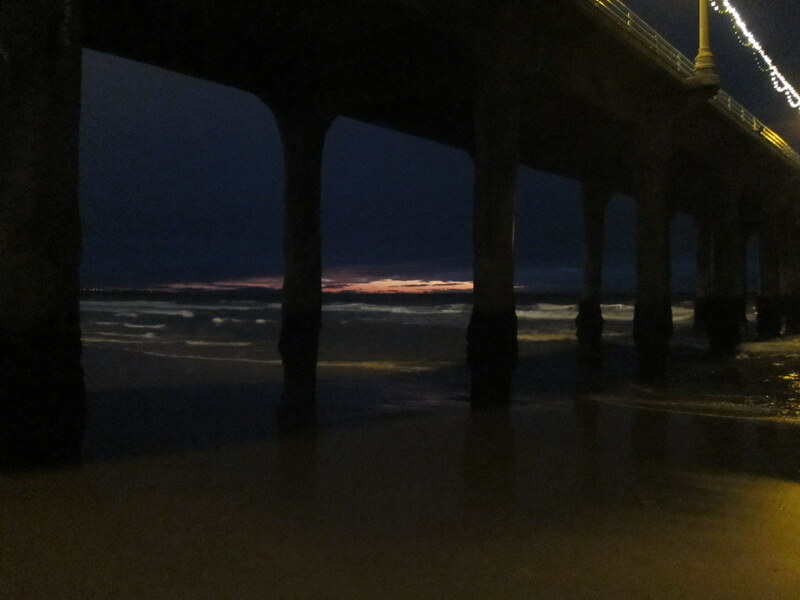 In the darkness, you could see the fluorescent glow of the necklaces moving along the beach. The course was an out and back loop along the water. The well-packed sand was the perfect surface for running since it was just like running on a dirt trail. 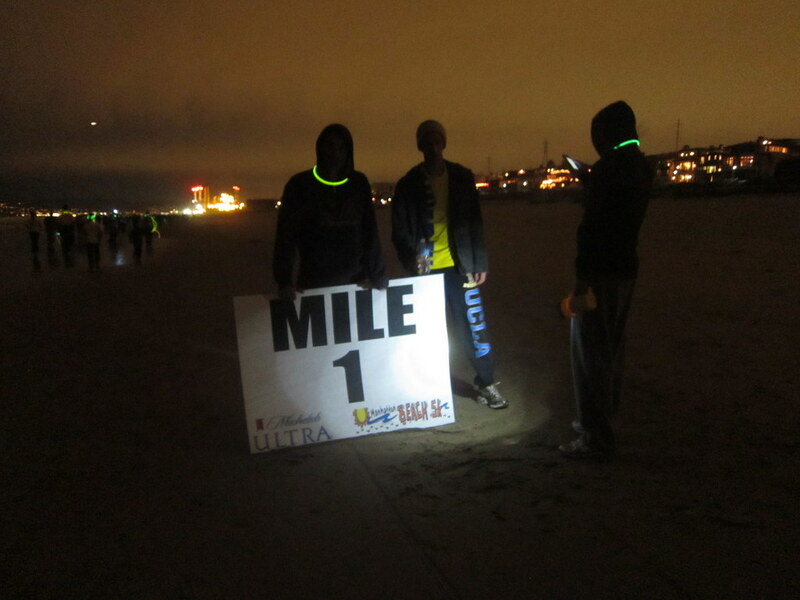 Volunteers shined bright lights on the mile markers so they could be easily seen. I had so much fun running on the beach. The Manhattan Beach Yuletide 5k was the perfect race to get me into the holiday spirit. 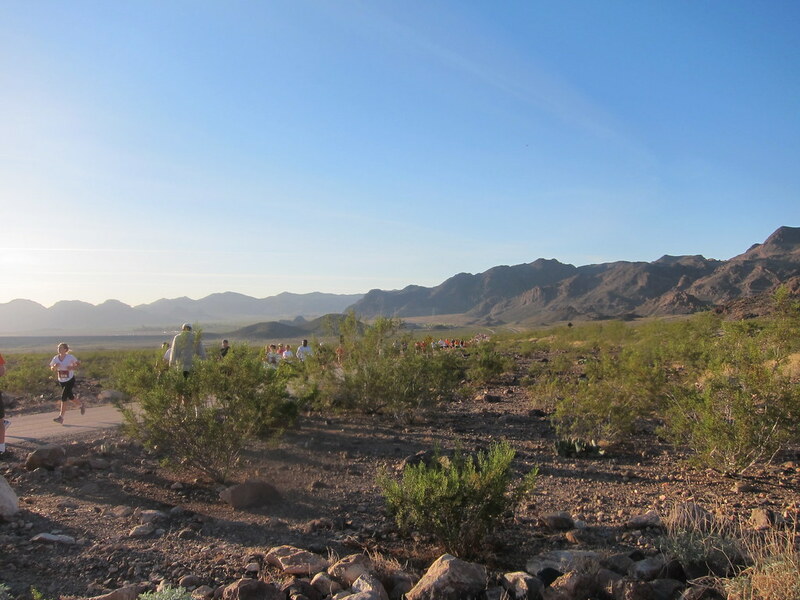 The Green Girl did the inaugural Really Big Free Half Marathon Las Vegas at Lake Mead National Recreation Area at the beginning of this month. This race was the brainchild of the io events race management company. The strategy was to offset the registrant costs to the race sponsors. 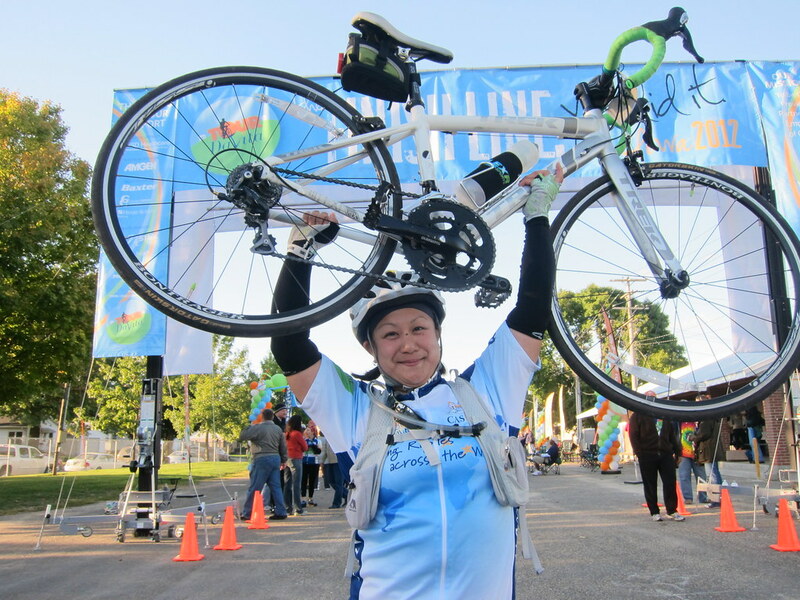 A refundable deposit of $50 was required during registration. According to the Really Big Free FAQ, all runners who crossed the Starting Line with their timing chips will be refunded in the form of a $50 check four to six weeks after the event. 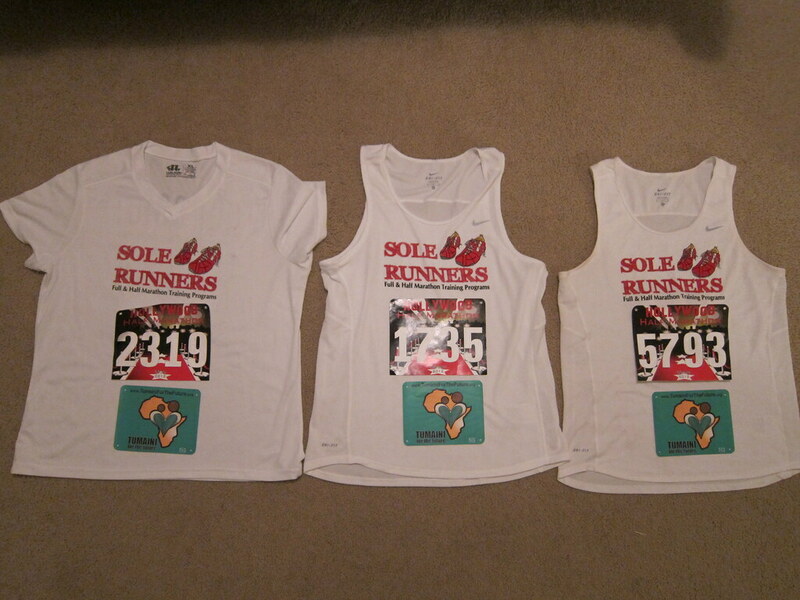 Fellow Sole Runners Barb, Kerri, and Sandy, also participated in this race. 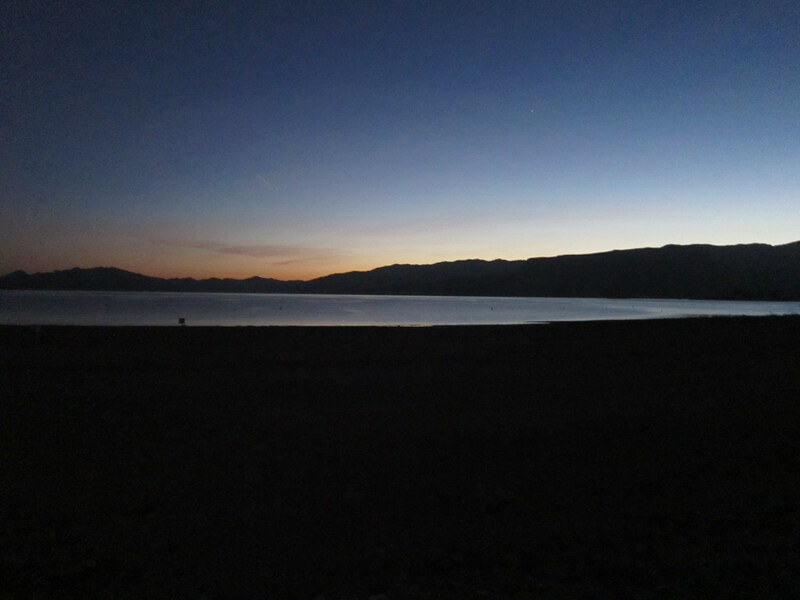 We arrived at the Lake Mead National Recreation Area just before sun rise to see Kerri off for the marathon. We quickly discovered the fortuitousness of already being there for Kerri's early marathon start when the half was delayed due to logistical parking and traffic problems. 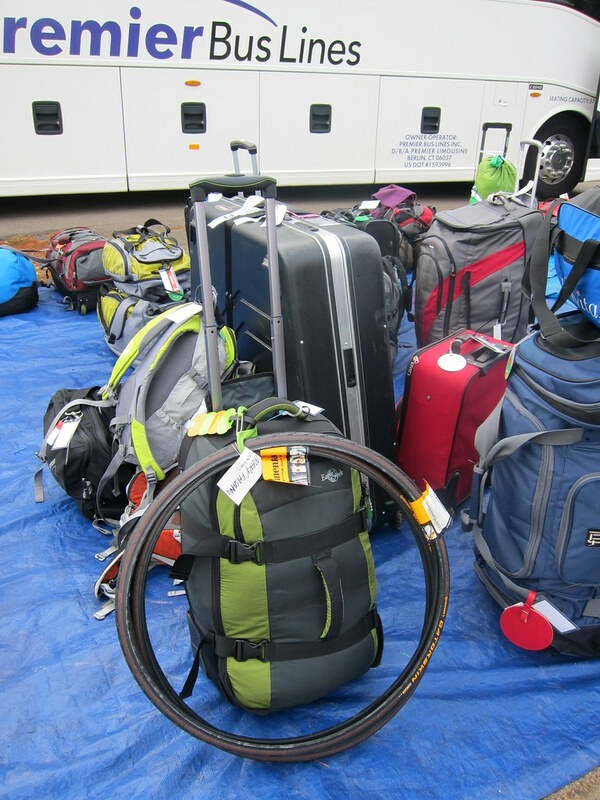 At one point, the race organizers even announced there was a possibility the race could be cancelled. The course was along the scenic rolling hills of the River Mountain Loop Trail. I went into this race undertrained and without any expectations since I'm still dealing with the Achilles tendon bursitis (retrocalcaneal bursitis) in my right heel. 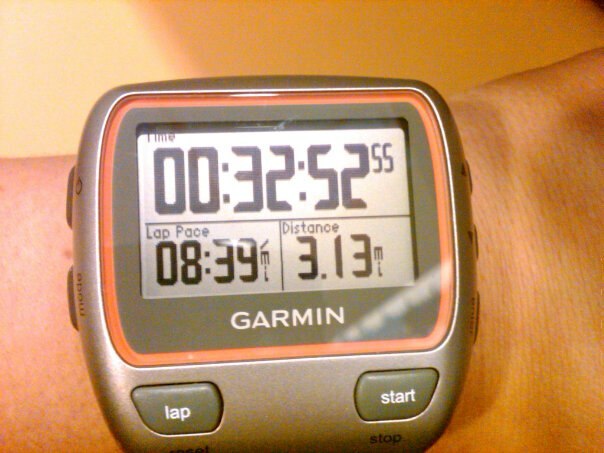 To avoid aggravating my heel, I started off easy and maintained a steady jog throughout the race. The slower pace enabled me to relax and enjoy the beauty of Lake Mead. Since the course followed the River Mountain Loop Trail, it was easy to follow and all crossings were clearly marked. 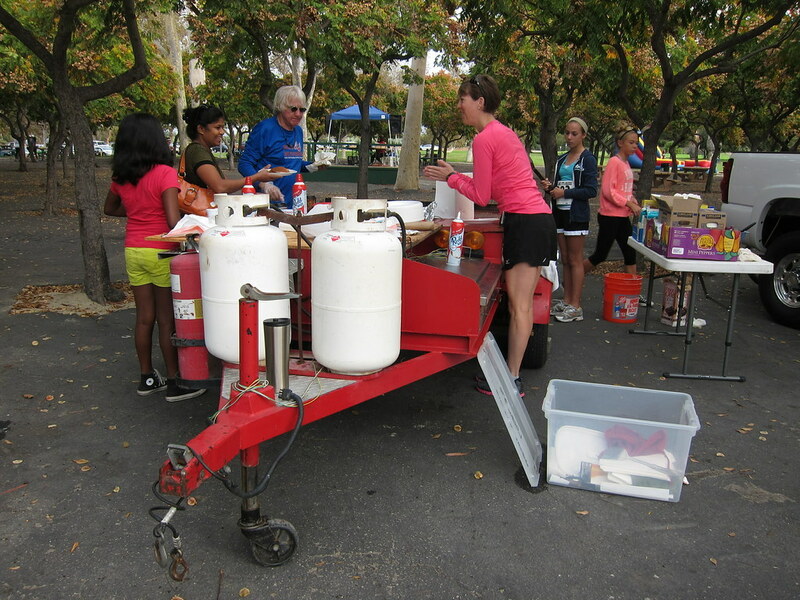 The aide stations were well stocked with water but there appeared to have been a shortage of sports drink. 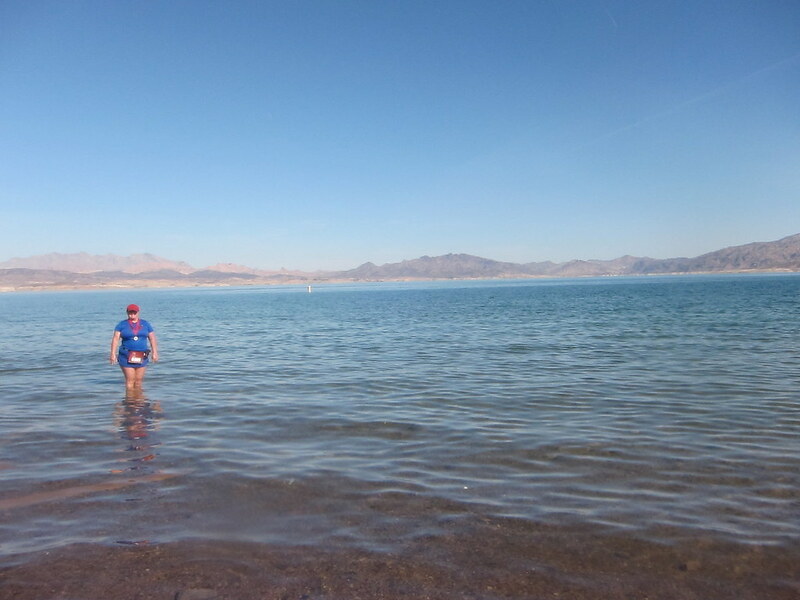 At the finish, a number of runners took a post-run dip in Lake Mead in lieu of an ice bath. I really enjoyed the inaugural Really Big Free Half Marathon and look forward to participating in future Really Big Free events. This is the hardest message we have ever written. You would think that business is business but THIS business represents years of real blood, sweat, tears, memories, and sacrifice. The past year we’ve pushed ahead with the attitude that failure is not an option, emotionally vested in a business and industry that has slowly realized it is not as recession proof as was once touted. Our emotional commitment to our races blinded us to some serious problems such as significantly increasing race organization costs, increasing regulatory red-tape, declining participation numbers, sponsorship cut-backs, and our burgeoning debt. We forged ahead, investing in the races waiting for the economy to improve, sponsors to follow through on their promises, and for there to be a glimmer of light at the end of the tunnel – yet the reality is, at least for us, there is no hint of glow coming from the path ahead. Aggregate participation numbers have been significantly down for the past year and numbers going forward look even worse. And it’s a struggle many race organizers our size are sharing. At this point, our credit cards are maxed out… and with some vendors having been paid and others still waiting we find ourselves in a tough spot with our backs against the wall; we’re broke, and we’re facing a dire and unfamiliar situation that appears to have only one solution; after nearly 7 years of organizing races, we’re closing our doors. This closure means the cancellation of the Really Big Free Series. As for refunds - we're working on it and we hope to have a time table available in the coming weeks. For those of you who have supported us through the years we are so grateful – we wish we could push on; we’ve poured our hearts into this company and the prospect of not organizing races is just heartbreaking. You may email us at contact@ioevents.com / or call our office at (928) 855 - 4887. 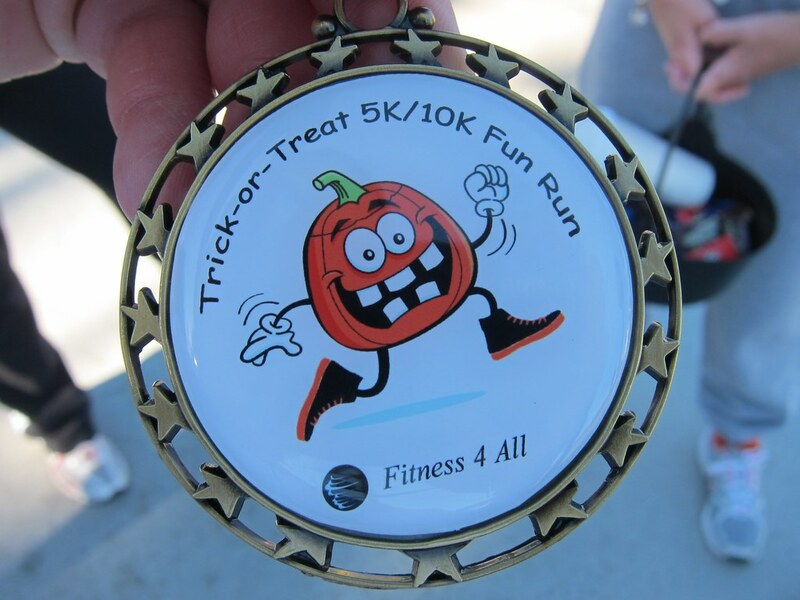 The Green Girl participated in the Fitness 4 All Trick-or-Treat 10k yesterday. 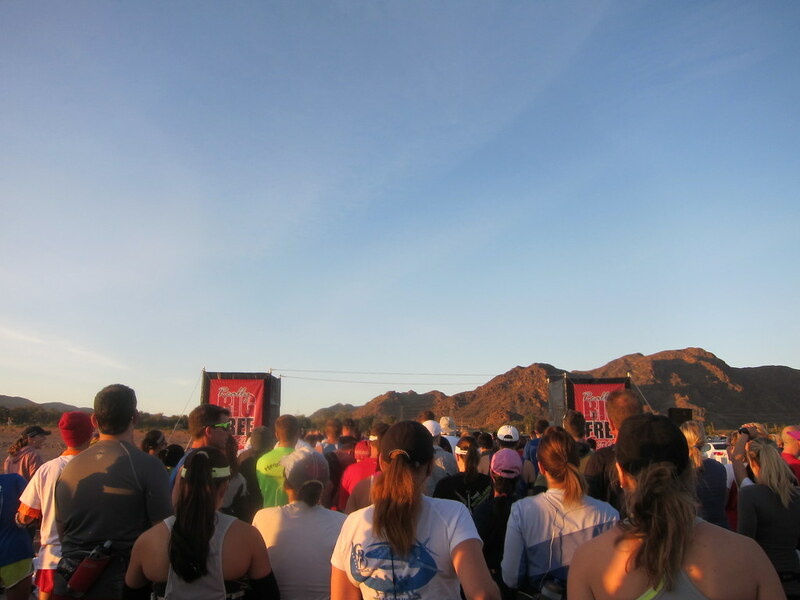 The race benefited the National Marfan Foundation. 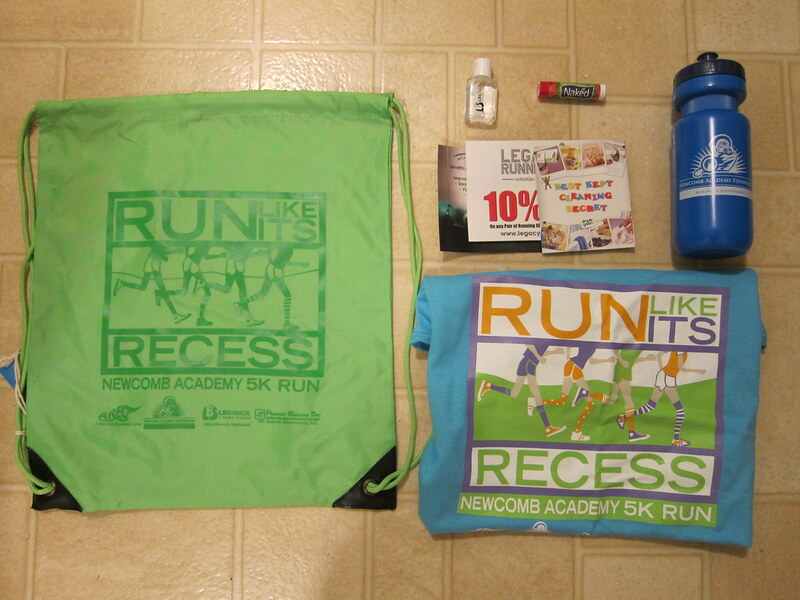 75% of the race registration fees will be donated to the organization. 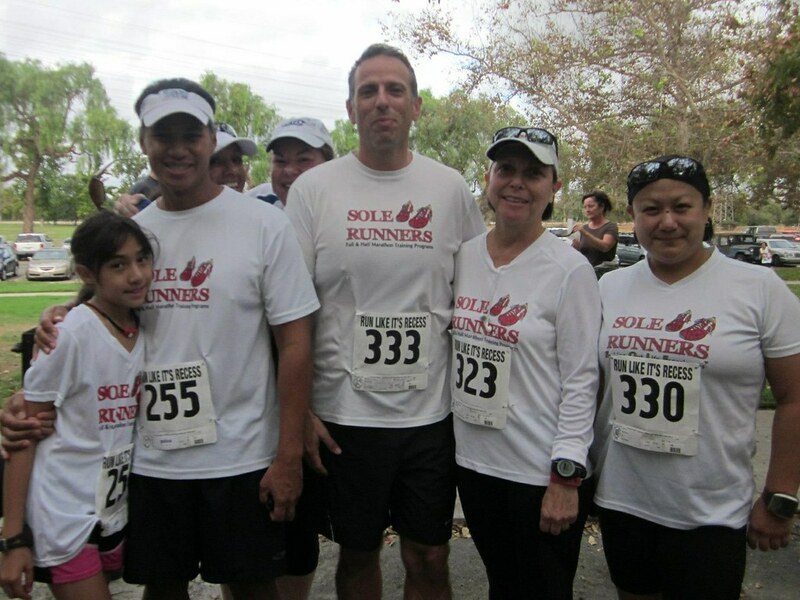 The event was in memory of Laura Coughlan Siqueiros , the wife of fellow Sole Runner mentor, John Siqueiros, and in honor of a young man, Ethan Johns. 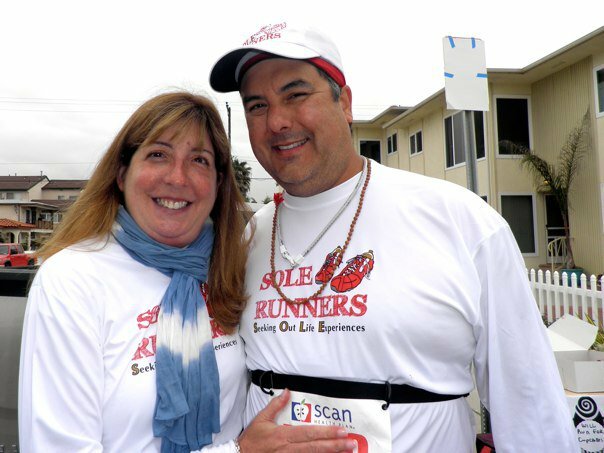 Laura had planned this race to share Ethan's Marfan syndrome story but unfortunately, she passed away from Marfan syndrome complications earlier this year. Marfan syndrome is a genetic disorder of the connective tissue that can affect the skeleton, eyes, heart and blood vessels. People with Marfan syndrome are at risk of aortic enlargement. Without proper treatment, the aorta (the large blood vessel that carries blood away from the heart) could enlarge and could tear or rupture. Aortic ruptures are usually fatal. Laura was passionate about raising awareness of the symptoms of Marfan syndrome so undiagnosed cases might be identified and lives could be saved. 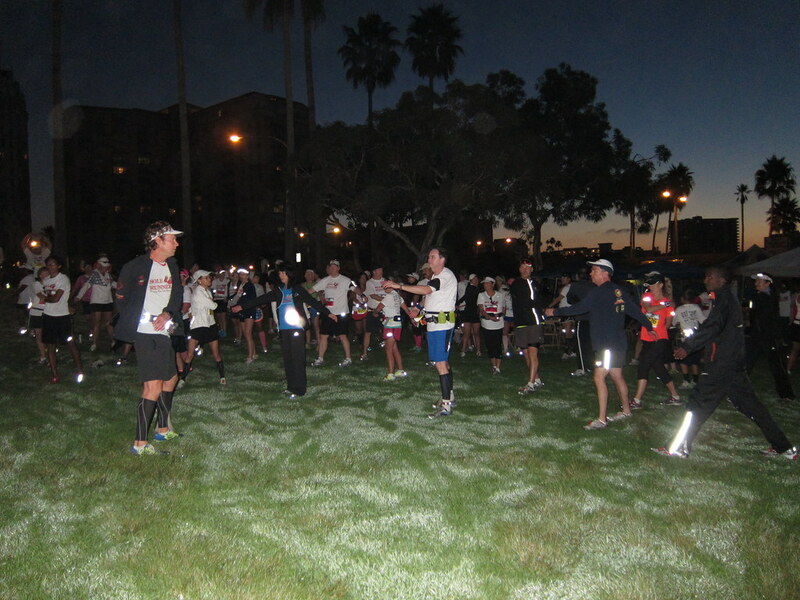 The morning started off chilly but as the race time approached, it really warmed up. 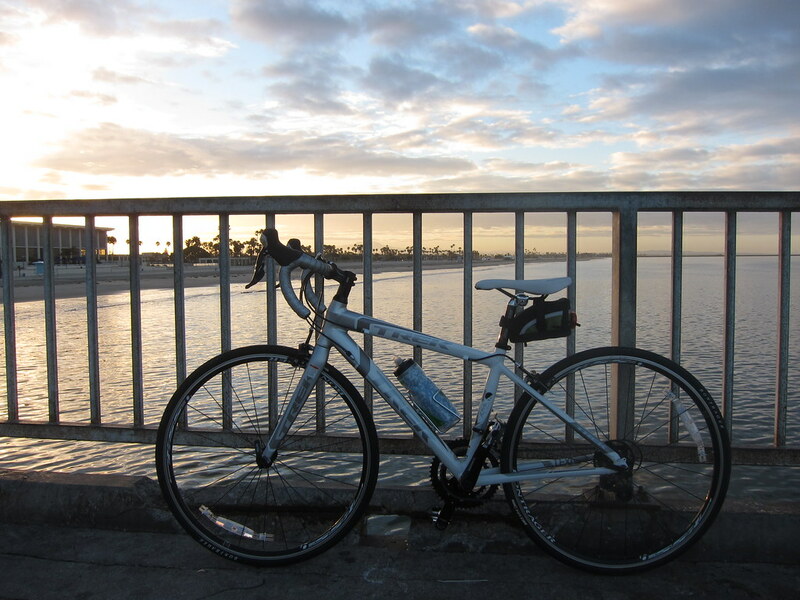 The scenic race course was along the Long Beach Shoreline Pedestrian Bikepath. A number of runners were dressed in Halloween costumes to celebrate the holiday spirit. 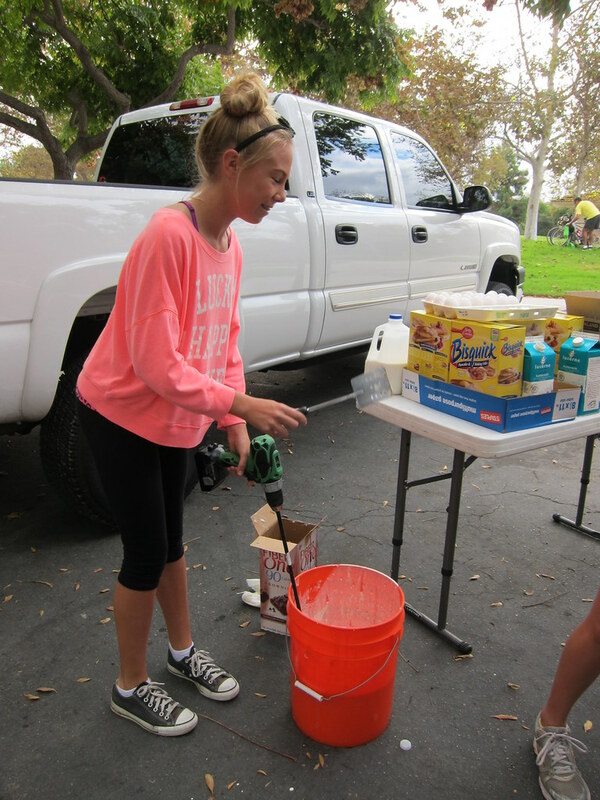 The aide stations were Halloween themed complete with trick-or-treat baskets filled with treats. It made my day when I was able to snack on a Reese's at Mile 1. It was a beautiful day to do what we all love in memory of Laura and in honor of Ethan. Blog Action Day was founded in 2007 to bring together bloggers from different countries, interests and languages to blog about one important global topic on the same day. The Blog Action Theme for 2012 is 'The Power of We' to celebrate people working together to make a positive difference in the world. The Green Girl met a Kenyan runner, Moses Waweru, last year at the 13.1 Chicago Half Marathon. Moses is originally from Nakuru, Kenya. He currently resides in the Midwest in Wisconsin. When Moses visited Nakuru last September, a local school teacher reached out to him. The teacher explained the parents of the school children in her class could not afford the tuition and consequently, she had fallen behind on rent, and did not have money to purchase ugali (cornmeal) and tea to feed the students. Moses vowed to do everything in his power to help this teacher keep her school and continue to provide an education for these children. As soon as he returned to the US, he transformed his vision into Tumaini for the Future. Tumaini means Hope in Swahili. Moses founded the non-profit organization Tumaini for the Future to provide educational opportunities for underserved youth in his hometown of Nakuru, Kenya. When Moses spoke to the school teacher, he discovered the ugali and tea served at school is sometimes the only nourishment the children get. Tumaini for the Future needs your support. 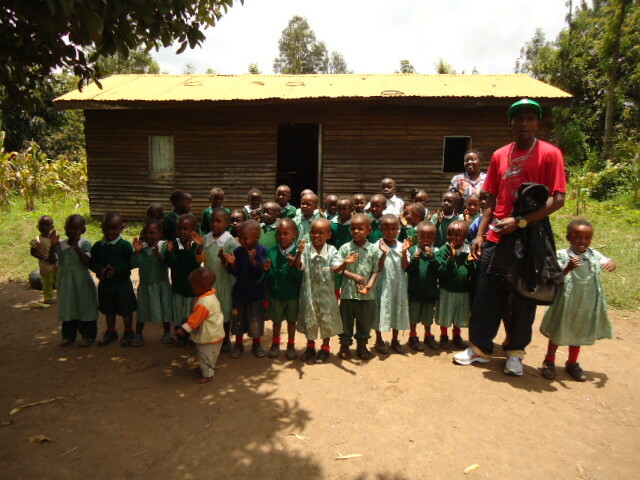 $100 US donated to Tumaini for the Future will feed all of the Tumaini school children for an entire month. 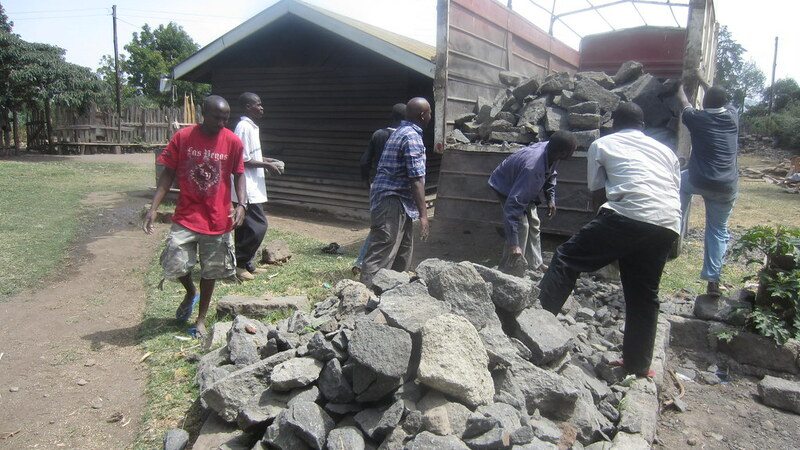 Tumaini for the Future is also raising money to build a new school which will be called the Tumaini School. The goal is to raise $10,000. 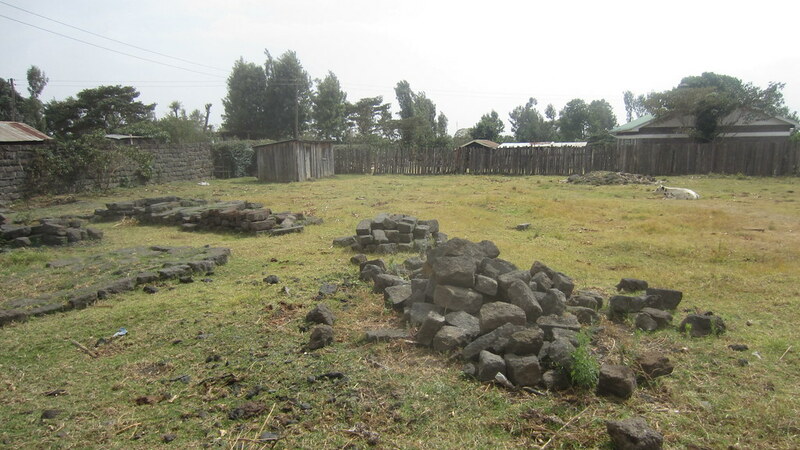 The land and some building materials have already been purchased. Tumaini for the Future has no administrative overhead so 100% of your donations will go directly to the Tumaini School. Tumaini for the Future has partnered with Coach Steve Mackel and his running group, the Sole Runners, to help spread awareness. The Sole Runners also collect used running shoes and clothing for Moses to take back to aspiring runners in Kenya. Please help celebrate and make the Tumaini for the Future dream come true by spreading awareness to your family and friends. 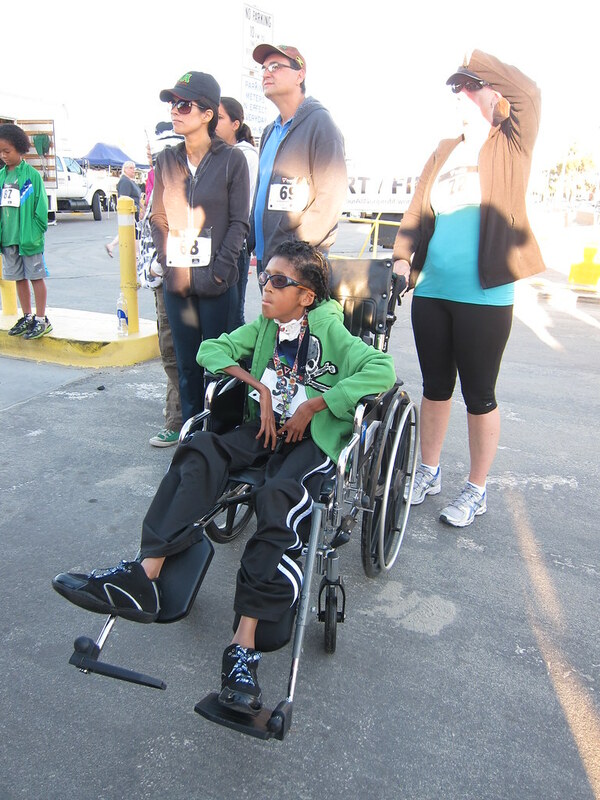 The Green Girl and Moses Waweru joined the Sole Runners for the Long Beach Marathon. 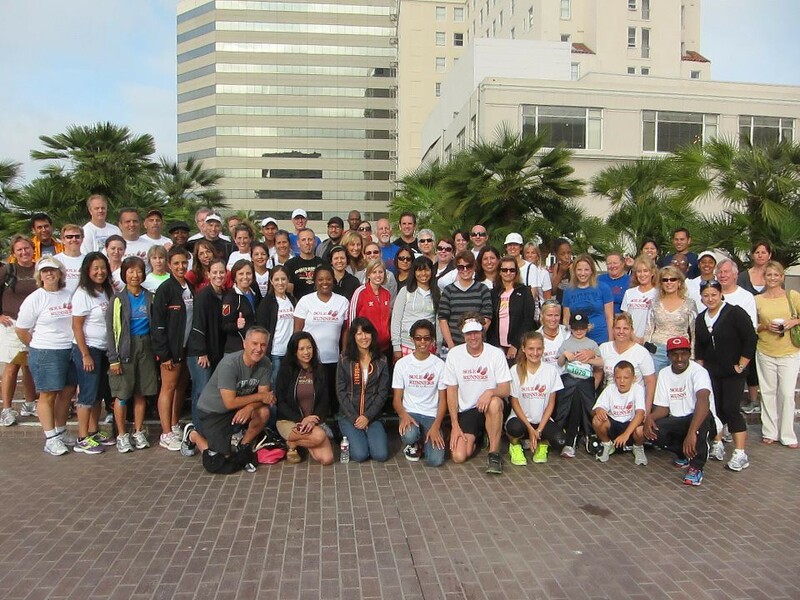 Coach Steve kicked the race weekend off with the Sole Runners group picture in front of the Long Beach Convention Center. 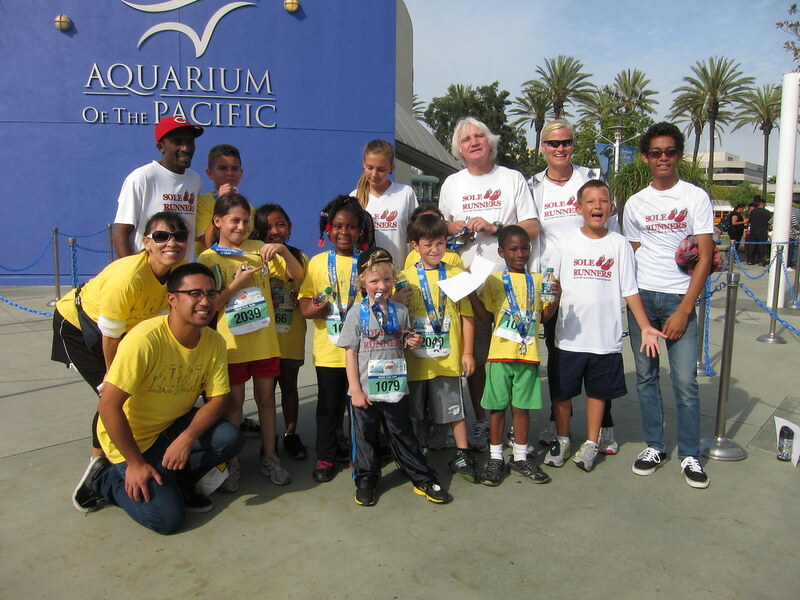 Before heading to the race expo, Moses went over to the Aquarium of the Pacific Kids 1 Mile Fun Run to show his support for a group of school children who were participating in the fun run as part of Long Beach's Grace United Methodist Church's Yes We Serve STARTS youth organization. STARTS stands for 'Soaring To Achieve, Reaching To Succeed'. The non-profit organization provides afterschool activities such as art classes, dance and sports instruction, theatre training, and tutoring for underprivileged first through third graders. After cheering the SMART runners on the course, Moses congratulated the finishers on a successful race. 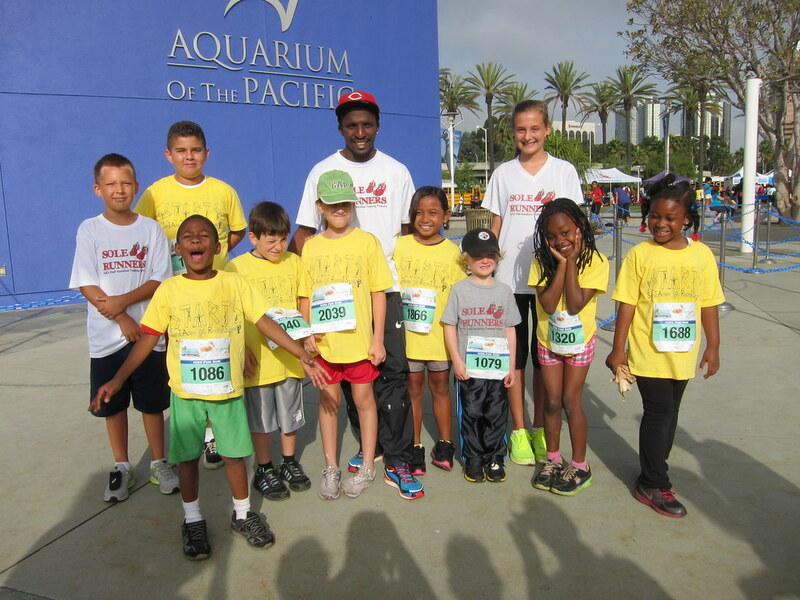 After the Fun Run, we headed over to the Long Beach Convention Center for the race expo. 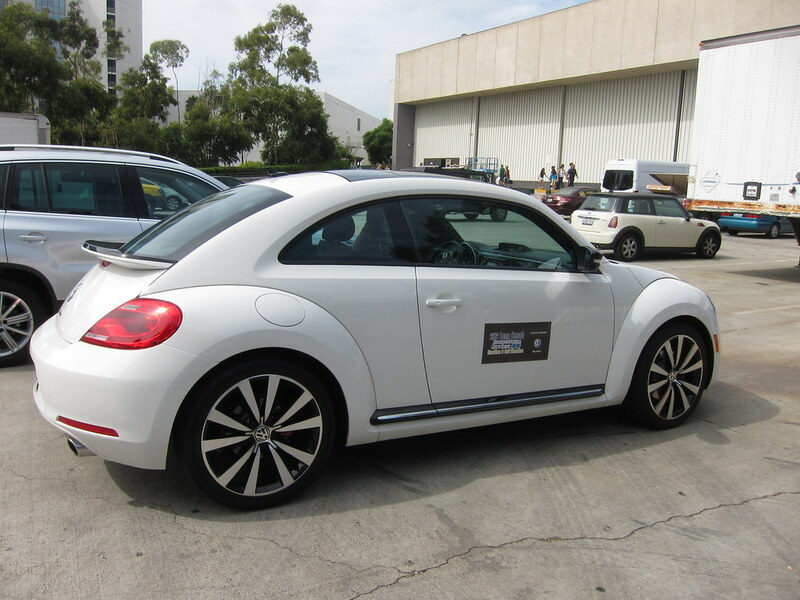 The highlight of the expo for me was the opportunity to finally test drive my dream car - a Beetle. Except it wasn't lime green. 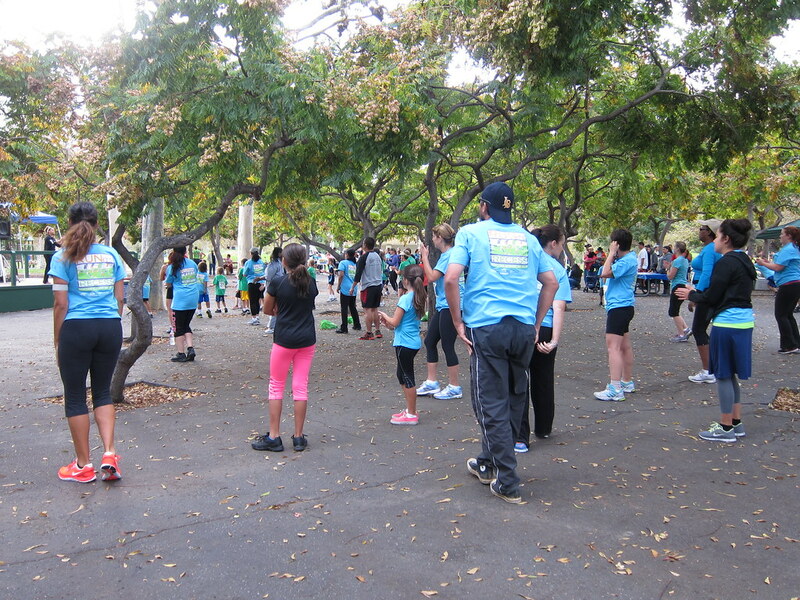 Pre-race Sunday morning, Coach Steve led all the Sole Runners through the ChiRunning body looseners. 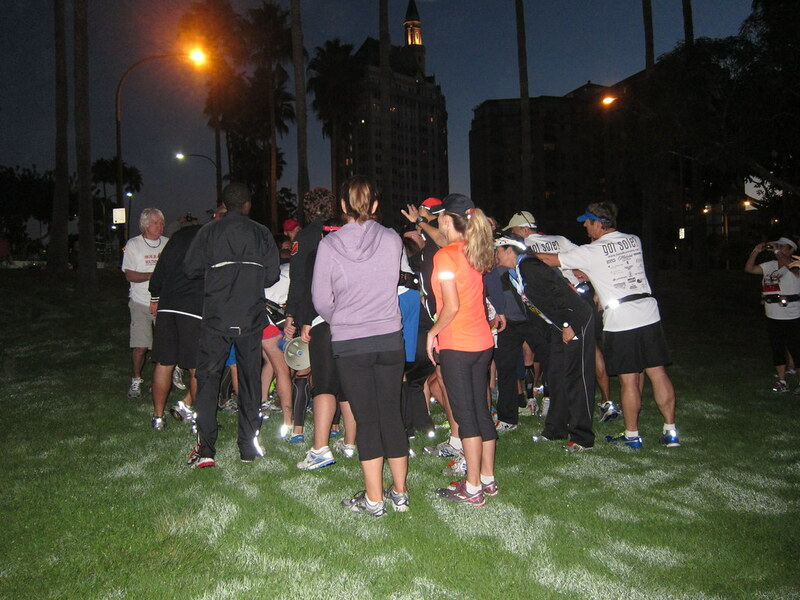 Before the runners headed to their respective corrals, the Sole Runners formed the traditional Sole Runners pre-race team huddle. 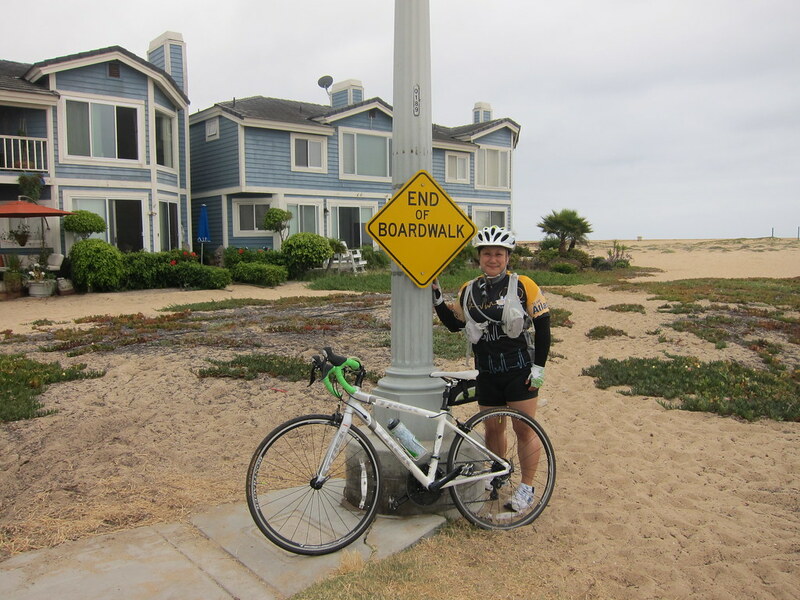 Once the race started, we headed over to Mile 6 to cheer the Sole Runners as they ran by on the beach path. In addition to the Kids 1 Mile Fun Run, Marathon and Half-Marathon, there was also a Run Forrest Run 5k which started shortly after the marathon and half-marathon. Moses finished the Run Forrest Run 5k in 15:20. After the 5k, I headed out onto the course to cheer on the back of the packers. Other support Sole Runners were out there, including Coach Steve, making sure all our runners were okay. The Sole Runners tents didn't go down until every last Sole Runner runner had crossed that finish line. 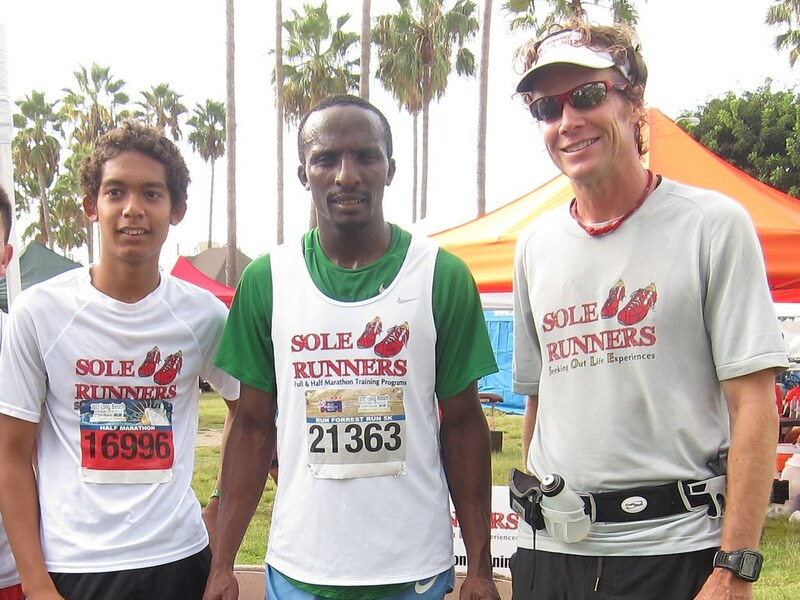 It was the end of another successful season and Long Beach Marathon for the Sole Runners.